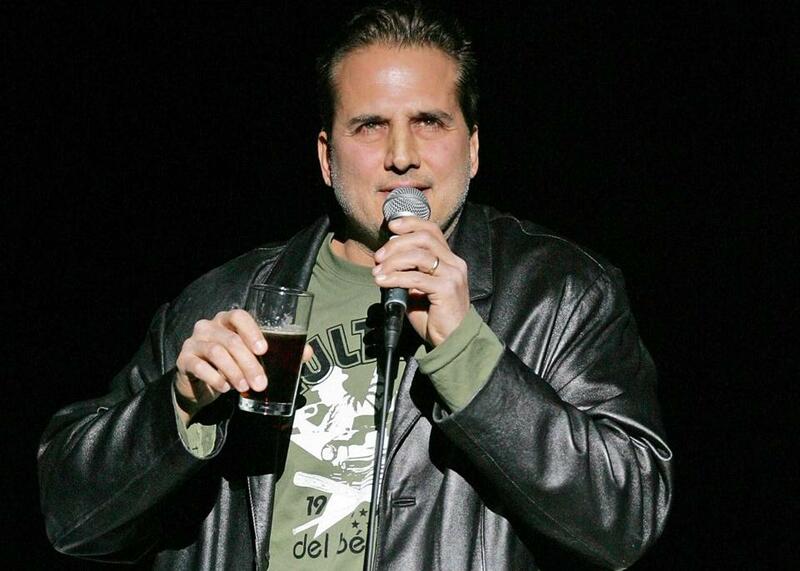 Comedian Nick Di Paolo, shown performing in Las Vegas in 2008. Comedian Nick Di Paolo, the Danvers native known for his right-wing rants, has been fired by SiriusXM. In a tweet to his 101,000 followers, Di Paolo said he was let go by the satellite radio network for what he called a “a poorly worded tweet.” The two-hour “Nick Di Paolo Show” had aired Monday through Thursday on SiriusXM’s Faction Talk channel. Perhaps realizing that Friday was the 19th anniversary of the Columbine shooting and National Walkout Day for students protesting gun violence, Di Paolo deleted the tweet within hours of posting it. Di Paolo, who said in a recent interview that his “Nick Is Right” comedy tour includes a lot of jokes about Hillary Clinton “and how much I hate her,” has made a habit of making statements many consider politically incorrect — or downright offensive. And sometimes it has gotten him into trouble.